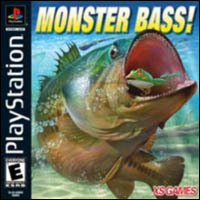 As boring as a normal fishing game, but with a stupid story added about misguided fish scientists who create a species of extra strong fish in their laboratory that you bravely catch. This makes me think of a story from college. At a party, a drunk friend of ours lost his mind. He was three hundred pounds and a beer-fueled furniture smashing machine, and we didn't like the idea of him being loose near so many people and things that could be pounded into liquid by his ham fists. This is kind of a better story when I can act it out, since I do a really good impression of that dude saying, "I caught a crappie." My favorite part of the whole thing though, was how even as a comedy writer, I can't figure out exactly why "I caught a crappie" was the funniest thing he could have said, half naked and smelling like pee. That fucker really did wet his pants.